You all know I love a freebie, so this months Elle had to be purchased. Not only have they got the separate runway guide for autumn, but there is a free Warehouse vest too. There are 4 colours to choose from-mine is a khaki beige colour-get yours now!! I also went thrifting and was pleased with my purchases. 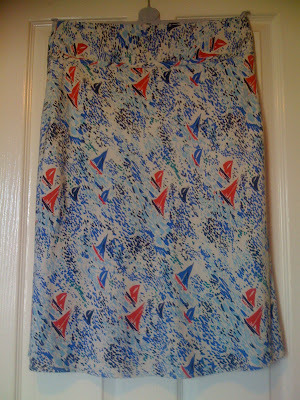 I got a vintage 70s Marks and Spencer vest for £1 and this lovely yacht skirt, which is modern but looks vintage inspired, for £2.99. I thought it would go very nicely with my new shoes from yesterday! The lovely Emma also tagged me, so here goes 6 uninteresting facts, all about me! 1. My favourite ice cream is currently walnut and advocaat, from Aldis-so delicious!! 2. I really love courgettes-my favourite vegetable of the moment. 3. I love a bargain and rarely like paying full price for any clothes related items!! 4. My new favourite colour is red. 5. I want Nadal to win Wimbledon this year! 6. I need to catch up with my washing duties-a mothers work is never done-haha!! 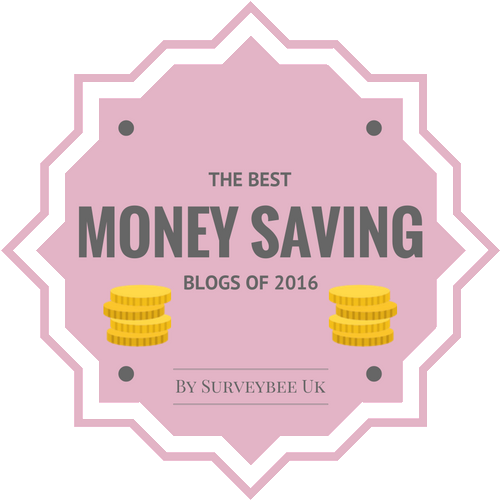 All my lovely blogger friends-consider yourself tagged if you so wish!! Oh such a cute skirt! I've never heard of courgettes!! I'm going to have to look them up. Thanks for the comment. Yeah, I know, maybe the Mom was just a bit too bitter, but I've been down that road with my own Mom. Usually, though, it wouldn't really be about me at all, but she'd say hurtful things about me and who I was seeing. She's much better now, though. Hi style du monde-thanks so much, something different! Hi secretista-they are like a mini baby marrow-very nice!! Hi ellie-I must admit, going back about twenty years or so, my mum was like that too!! Hi times of glory-thanks so much-I do like it as it is something different and I think it is a timeless print, too-50s style, maybe? I'm jealous - US magazines never give away good stuff like that vest! And I love the skirt - great find, esp. cute with your new shoes! Courgettes are called Zuccini in the States! Just for future ref. Hi always in style-thats curious to hear, I'd thought US mags would be good on freebies really! Thanks so much about the skirt too! Hi kate! Thanks and thanks also for letting me know about the zuccini! Hi the world is my catwalk-so very kind,thanks!! Hi couturecarrie-thanks so much, thats lovely of you! 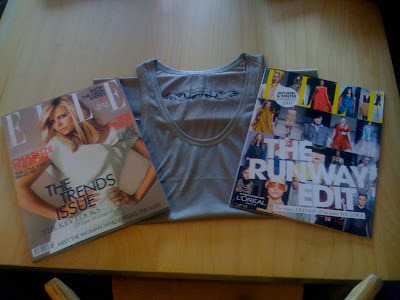 Hi fashion dreamer-I like both mags really, thanks so much too!! The skirt is gorgeous, Sharon. At first I wondered why you'd call it "yacht", and thought it must be some term. Then I saw the boats. So lovely! red is a nice colour;) what a strange ice-cream flavour you like! Oh I didn't even know they have freebies this month. I might consider getting a copy. And beautiful pattern on the skirt. Hi mariel-thanks for stopping by and for your comment too! Hi ida-I could have said boat skirt, but that doesn't sound as good-haha!! thanks so much!! Hi nv-thanks so much and hope you get your elle too! Hi atelier-It may sound strange, but it sure is delicious! Hi jay-thanks for stopping by and for your comment too!! Hi emily-thanks for your visit and for your comment! High 5 on the freebie! Well, pretend I'm there to give you a high five. Hi nay'chelle-yay, a high five back to you too!! Thanks so much! oh that outfit is lovely. im a fan of those AA skirts - i think im gonna have to get myself one! LOVE that skirt! so great. hi sharon! wow, they sure give amazing freebies with the magazines in the UK. here they don't give ANY! i like your skirt! will you post a picture of your vest too? 70s, vintage...this sure got me curious! and rafael nadal..yeah, i wouldn't mind if he won wimbledon either! i can never decide what my favourite colour is, somehow i like 'em all... there are only combinations of colours i don't like. gosh, if we had such amazing charity shops here, i would never pay full price on some item of clothing either! Hi carrie/wishwishwish-thanks for stopping by and for your comments! hope you manage to get elle too!! Hi on track-thanks so much, red does rock-haha!! i can't wait to see how you put together the outfit with the skirt and shoes, how wonderfully summery! cool finds. i so want to try that ice cream. Hi cupcakes and cashmere-I will do this soon-thanks so much!! Hi another.ellie-thanks for stopping by and hope you get to try it-haha!! Hi pammish-thanks so much dear and you have a great weekend too!! Hi fashion chalet-thanks my dear, so sweet!! The vintage yacht skirt is AMZING! I saw a pencil skirt wit pencil print once! I wish I have skirts wit such amazing prints! Hi yiqin-thanks so much, it is different!! I want the Elle freebie too. I hope that the tank is available when you buy the UK version of Elle here in the States. 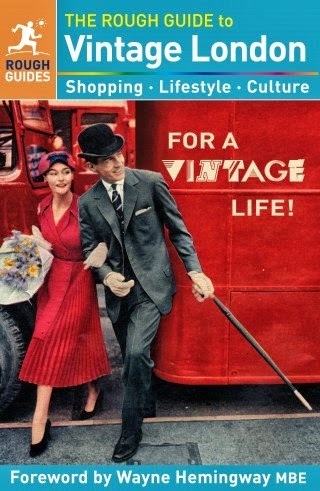 Hi girl@boroughvintage-hope you get it!! Hi madamedior-thanks so much, yes the freebies are really not bad over here in the UK!! excellent skirt! Reminds me of a vintage Chanel jumper Nicole Richie recently wore with tiny airplanes! Hi dana-thank you-I'd like to see this jumper of hers!! Hi soph-thanks so much, I'm pleased with it too! !